This morning we board a flight to the capital of Lapland, Rovaniemi. We will enjoy Lappish Dinner and visit Santa Claus Village. Here we also experienced the trill of riding a snowmobile along frozen river and through forests covered with snow. Situated on the Arctic Circle, this Finnish town is most famous for its Santa Claus Village -- the actual North Pole. Santa's home is covered with letters in many languages from kids around the world. There's a colorful village selling Christmas goodies year round and, this being Finland, offering ample coffee and salmon. It's a cute, clean, and chilly town that made this Californian feel like December had arrived even though I visited in August. Ok, first of all, Santa lives here. I met him a few years ago and well, it was a funny experience because we had quite the language barrier. 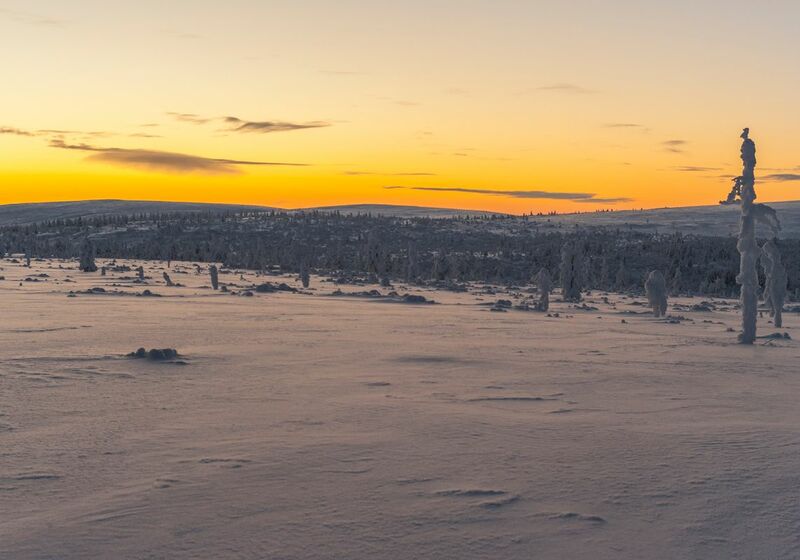 Aside from the fact that you should visit Rovaniemi to see Santa, this also happens to be the largest town in all of Europe ( fun fact) and also probably one of the most beautiful places in the world. Finland in itself is one of the most unique and beautiful countries I have visited. I've been lucky to spend about two months in Finland through the last few years and of all the places I have seen, Rovaniemi is the most unique culturally and aesthetically! When you go to Santa's workshop, there is a gift shop and from there you can buy all of you loved ones gifts and send them with a stamp from the North Pole! How cool is that?! Only those who have been very good get to visit this special village where Santa and his elves have their workshop and reindeer ! You may as well come to terms with one thing right now: Rovaniemi is after your wallet. If you are okay with that, then you will have a lovely weekend watching your children delight in meeting Santa Claus, and taking safari trips with husky-drawn sleds, sleighs drawn by eight--ahem--one tiny reindeer, and growling snowmobiles. If you are not okay with it, you will be one of the grumpy, out of sorts travelers who corner perfect strangers in souvenir shops to regale them with stories of how the locals are trying to fleece you. We were okay with it, and had a fine time.